Boat Loans Sail Away with Fast and Easy - up to $10,000 - Apply Now! Jacaranda Finance offers 100% online fast boat loans, up to $10,000 – APPLY NOW! The feeling of your hair blowing in ocean wind, whilst you are a sipping a chilled glass of champagne, is something we should all experience. 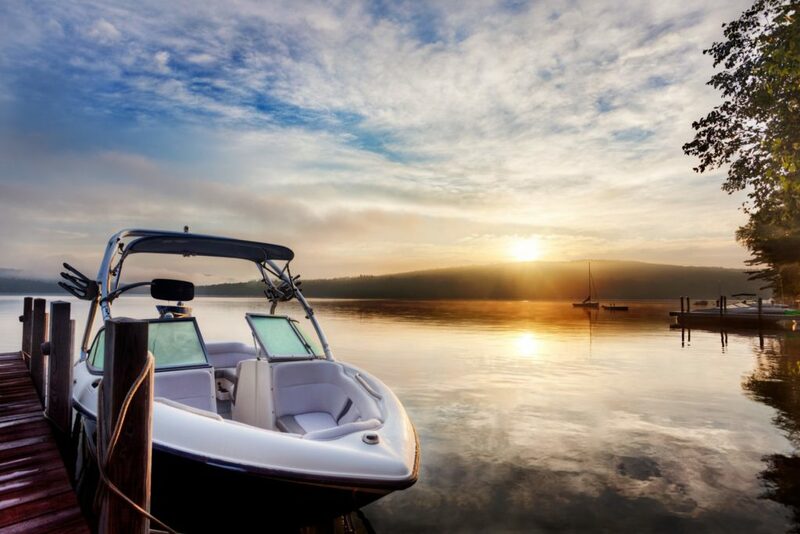 Jacaranda Finance boat loans can help put you in the water in style. We are a 100% online loan service, with no hidden fees and fast outcomes. We aim to provide professional customer service, with the convenience of sorting your loan straight from your living room. Here is a breakdown of our boat cash loans; what we offer and how and also the principles of Jacaranda Finance and how we stand out against traditional lenders. Firstly, why choose Jacaranda Finance? Well, we want to help you out of stressful situations. When you apply for a boat loan with us, we understand that your loan is important and requires attention. We offer personal loans for a myriad of reasons, including; quick cash, unexpected bills, same day cash loan, holiday loans and many more! Our loan terms are quick, competent and upfront about all costs. In short – rest assured your boat loans are in good hands. Unfortunately, even though we may want to help everyone, sometimes we cannot. Due to our responsible lending practices, we cannot approve customers that has proven they cannot make repayments. We don’t want our clients to find themselves in further financial hardship, because of unattainable debt. However, we are more lenient than traditional lenders. We accept customers with bad credit and those who are receiving Centrelink payments. As long as you have received a regular income for the past 90 days, we can forgive past financial mishaps! Now let’s talk boat loans! A Jacaranda Finance boat loan is a 100% online, fast, medium loan typically between $2,001 and $4,600 and a large secured loan from $5,000 to $10,000. You can choose a minimum loan term of 13 months to a maximum of 24 months. To ease the stress and hassle that typically accompanies loans and borrowing money, we have cut out all the extra steps to create a 4-minute loan application. Yep – you read that right. All you need to do is hit the APPLY NOW button and fill out our quick application form online and we will do our best to get you a yes or no answer within 60-minutes! Yes, 60-minutes! We aim to provide all our customers with a 60-minute turn around of their loan applications (if you apply during business hours). So, simply sit back and catch up on our latest favourite tv show, whilst we assess your loan application. We understand that sometimes life throws you unexpected situations that you may not always be prepared for. Here at Jacaranda Finance, we offer fast, fair, online loans. All you need is to be over 18, have a regular source of income, be an Australian resident, and have an active contact number and you can apply now! What is a medium secured loan? A medium secured loan is a loan for those customers wanting to borrow a little bit more than what is offered in a small loan. Our medium secured loans are between $2,000 to $4,600 and the loan terms run from a minimum of thirteen months to a maximum of 24 months. We also offer large secured loans between $5,000 to $10,000 and can be repaid over 13 to 24 months. A secured loan refers to required equity that is used to ‘secure’ the loan. For more information on the different types of loan, visit MoneySmart. How do our medium and large secured personal loans work? Our medium personal loans are a minimum of $2,000 to a maximum of $4,600, the terms of the loan are dependent upon your individual loan, but will generally be between 13 to 24 months. Jacaranda Finance has created an easy and simple boat loan calculator to help determine, your loan terms. Remember, we are ready to help, whenever you need. So, if you have any questions about what you need to apply for a boat loan, don’t hesitate to get in contact with our friendly staff. How to apply with Jacaranda Finance? Submit your loan application; it only takes a few minutes due to our fast and simple application process. Apply online via our website, and to help you get started, use our boat loan calculator. Located at the top of any Jacaranda Finance page, simply select your loan amount and term, then click ‘Apply Now’! Based on the personal details you provide, we will assess whether you’re suitable for a boat loan. To assess your loan application, we require a copy of your bank statements and spending habits. However, unlike traditional lenders, we don’t require paper copies of these supporting documents. To create a convenient, no paperwork loan process we utilise the latest in safe banking technology. We want to help anyone who applies for a boat loan at Jacaranda Finance. As a result, we forgive past financial mishaps, if your current financial situation is positive. So, we consider customers who have suffered from bad credit or receive Centrelink payments. We are responsible lenders, so we will only approve customers that can comfortably afford repayments. The last thing we want is to land you in overwhelming financial debt. We aim to provide a 60-minute turn around for your loan application if you apply during business hours. However, there are a few factors that may affect fast turnaround, including how long it takes us to verify your information and the information you supply. Once you are approved, your funds will be transferred to you immediately! It’s that easy, receive your funds in minutes and get back to what you do best. How fast your bank transfers the funds may affect how quickly you receive your moolah. At the very latest, you should have it overnight. So, how do I use the boat loan calculator? Using the boat loan calculator couldn’t be easier! All you need to do is go to the top of the page and move the slider to the amount you want to borrow and then move the bottom slider to how long you would like to borrow your amount for. For example, if your boat is going to cost $3,500 (top slider) and you want to pay it off over 19 months, this will cost you $90.58 in repayments a week. Therefore, our boat loan repayment calculator can help you to decide how much money you need to borrow. It can also help you decide how long you will need to pay off your loan at the repayments you can afford. Remember, loans over $2,001 require security in the form of a car, motorbike or caravan that you own. What if I only want a small boat loan? Repaying your boat loan couldn’t be easier! We utilise the latest in safe banking technology to make your boat loan repayments hassle-free. All you need to do is provide us with your direct debit details and nominate a day you want the repayment to come out. We will do the rest for you! So, no need to take a trip to the post office or worry about paying online – your repayments will be automatic! Once your final payment is complete it will be automatically cancelled. Easy as that! As part of our responsible lending practice, we do perform credit checks when we assess your boat loan application, however, we are more lenient than traditional lenders. Jacaranda Finance encourages all customers seeking boat loans to apply. We adhere to our responsible lending policies and regulations. So, to do this we are required to perform credit checks on our applications. We are, however, more lenient than traditional lenders and we are 100% online so why not just apply and have a chat with our friendly customer service staff about your situation. Can I still apply for a boat loan if I have had bad credit in the past? Yes, we welcome all boat loan applicants. We assess all our applications individually and encourage all those looking for a boat loan to apply. We support positive credit reporting and believe that past financial mishaps should not condemn your current financial position. If you are unsure of your credit history, click here to find it out for free online. So, do you accept boat loan applicants who are receiving Centrelink payments? Yes! Jacaranda Finance sees Centrelink payments as a source of income and we doesn’t reject customers based on generic criteria. Therefore, We assess individual financial pasts and present and believe in reinforcing positive credit lending and rewarding a current positive financial situation. So, if you receive Centrelink payments, apply today for a loan and we’ll do our best to give you the outcome you need. So, if you are receiving Centrelink payments, but want to sail the seas, APPLY NOW with Jacaranda Finance. Jacaranda Finance is committed to providing quality customer service. We are the loan experts and we are ready to help with any enquiry. So, what are you waiting for? Simply contact us via our website or phone and our friendly team will help you out. Our fast and convenient loan application is as a result of our 100% online persona, however, we place value on retaining a welcoming embrace for our customers. Our website is slick and simple to use, you should have no problem finding your way. Therefore, if you are struggling, please don’t hesitate to contact our friendly team. What should you be looking for when applying for a boat loan? Therefore, if you have seen that perfect boat deal and need the finance now then why wait! Apply Now with Jacaranda Finance and you could have your cash instantly! We are 100% online, we can have your boat loan approved usually within 60 minutes and we are an Australian finance company offering top rates on boat loans. Therefore, no need for pesky paperwork, simply sign our loan contact online! So, if you need any assistance, don’t hesitate to give us a call and chat to one of our friendly customer service representatives and get your boat loan underway! Jacaranda Finance offers 100% online fast boat loans, up to $10,000 - APPLY NOW! Overall rating: 4.8 out of 5 based on 60 reviews.